Search for LAO staff assigned to a department or program area. Analyzes one of the two initiatives included in the Governor's executive order: to transition the pharmacy services benefit in Medi-Cal from managed care to entirely a fee-for-service (FFS) benefit directly paid for and administered by the state. Provides background on the current child support program; describes and assesses the Governor’s 2019‑20 proposal to create a new budgeting methodology that would increase funding for certain LCSAs by nearly $60 million General Fund. Evaluates the changes the Governor proposes and assesses whether the changes better position 1991 realignment to achieve its intended benefits and meet the principles of a successful state‑county fiscal partnership we identified in our October report. Analyzes the Governor’s early education proposals and provides a summary of our recommedations. Reviews the Governor's transportation proposals, including those for the Motor Vehicle Account (MVA), the implementation of REAL ID, and the high-speed rail project; identifies issues for legislative consideration. 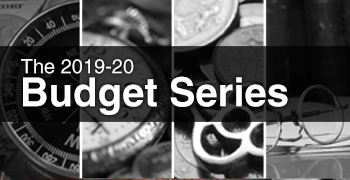 Evaluates the Governor's budget proposals for the Department of Developmental Services (DDS). Analyzes the use of Proposition 56 (2016) funding in Medi‑Cal to improve access to quality care; summarizes how Proposition 56 funding in Medi‑Cal has been used to date and the changes proposed under the Governor’s 2019‑20 budget; provides issues for consideration and recommendations. Evaluates the Governor's major human services budget proposals for programs administered by the Department of Social Services, including the California Work Opportunities and Responsibility to Kids (CalWORKs), the Supplemental Security Income/State Supplementary Payment (SSI/SSP), the In-Home Supportive Services (IHSS), and foster care. Analyzes the Governor's higher education budget proposals and provides a summary of our recommedations. A brief report on the Governor’s proposed $1.75 billion appropriation for various programs aimed at improving the affordability of housing in the state. A brief report on the Governor’s proposals to change state oversight of local housing decisions and to offer rewards to cities and counties to encourage them to plan for and approve housing. A brief report on the Governor’s proposed $625 million appropriation for various programs aimed at addressing homelessness. Assesses many of the Governor’s budget proposals in the judicial and criminal justice area and recommends various changes; provides a complete listing of our recommendations at the end of the report. Assesses several of the Governor’s budget proposals in the natural resources and environmental protection areas; recommends various changes as well as additional legislative oversight. Provides a complete listing of our recommendations. Describes the Governor's proposed Medi-Cal budget; advises the Legislature to consider renewing the managed care organization tax; presents issues for consideration related to the Governor's proposed expansion of comprehensive Medi-Cal coverage for young adults regardless of immigration status; and provides an initial assessment of the Governor's proposals to use Proposition 56 funding in Medi-Cal to extend and expand provider payment increases. 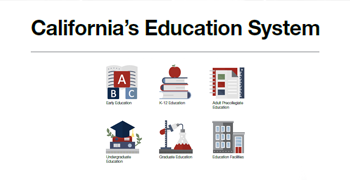 Assesses the architecture of the Governor’s overall Proposition 98 budget and analyzes his specific proposals for K‑12 education. Assesses the Governor's proposals to (1) create a state requirement that most Californians purchase health insurance coverage ("individual mandate") or pay a financial penalty and (2) use the revenues from this penalty to fund additional health insurance subsidies for households purchasing coverage through Covered California. 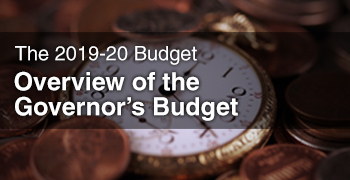 Considers the structure of the Governor’s budget to evaluate how well it prepares the state to address a future budget problem; assesses Governor’s major budget reserve and debt and liability proposals, offering alternatives for legislative consideration. Describes the general types of economic effects of state climate policies, key challenges in measuring these effects, and broad issues for the Legislature to consider when designing and evaluating its climate policies. Provides detailed information and comments on the state’s major policies aimed at reducing emissions from the transportation sector. Provides information on what the Census is and how it's conducted; discusses potential effects of an undercount in California. 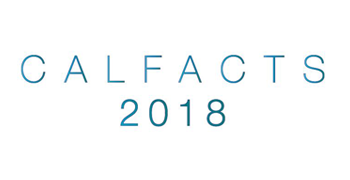 Fulfills the statutory requirement of Public Resources Code 26011.8(g) requiring our office to report on the effectiveness of a sales tax exemption program administered by the California Alternative Energy and Advanced Transportation Financing Authority (CAEATFA). Provides information and perspectives for the Legislature to consider as it weighs its choices regarding the taxation of sugary drinks. Evaluates the extent to which one of California’s more notable realignments undertaken in 1991 achieves its intended benefits. 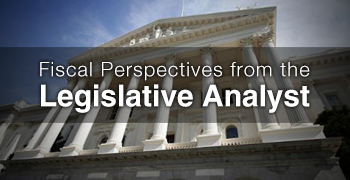 Discusses property taxes in California, identifying groups most likely having difficulty paying those taxes; provides advantages and shortcomings of the current Property Tax Postponement Program; provides policy alternatives for legislative consideration. Analyzes the extent to which dental services are available and sufficient for individuals with developmental disabilities; finding that access challenges exist, considers options and makes recommendations for improving access. The Salton Sea is California’s largest inland lake, located in Riverside and Imperial Counties. In this report, we discuss the changing conditions in and around the Sea, their statewide importance, and the Legislature’s role in overseeing projects to reduce potential negative effects on public health and wildlife. Provides background information on California’s forests; highlights shortcomings in the state's management approach and recommends actions the Legislature could take to improve the health of forests and watersheds across the state. 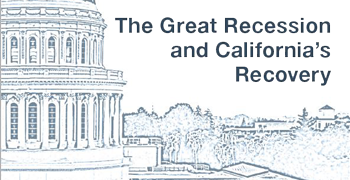 Provides an overview of revenue losses in past recessions; compares the Governor's reserve proposal for 2018-19 to past reserves and other states; presents a framework the Legislature can use to plan for a recession; concludes with alternatives for legislative consideration.